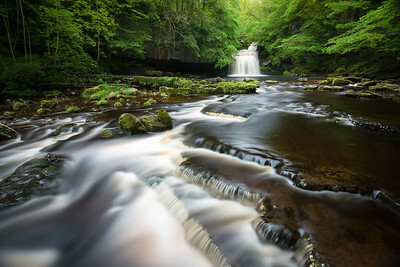 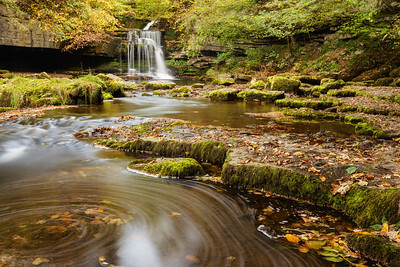 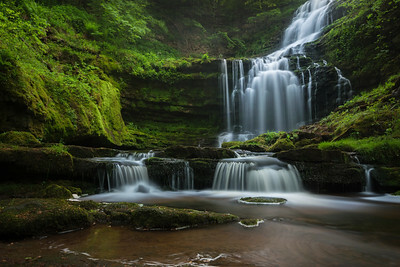 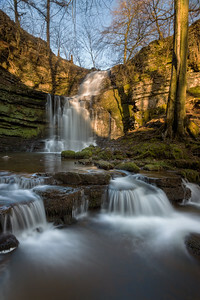 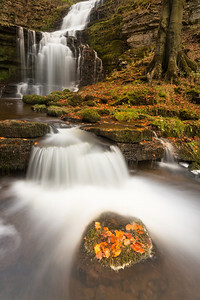 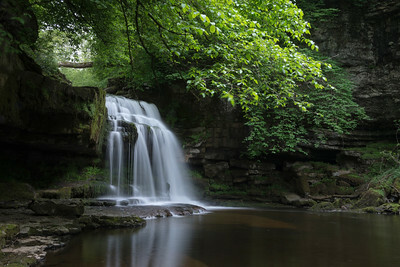 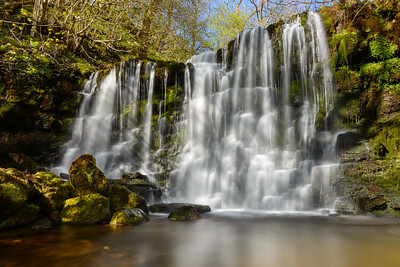 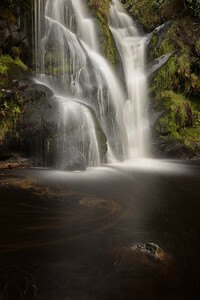 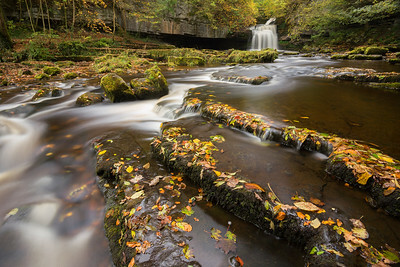 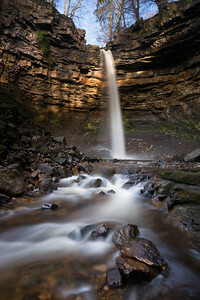 West Burton falls, also known as cauldron falls in North Yorkshire. 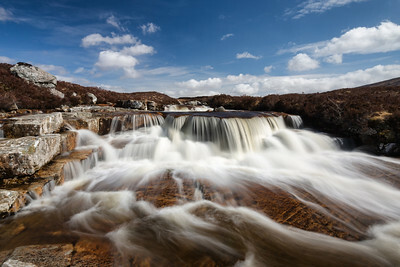 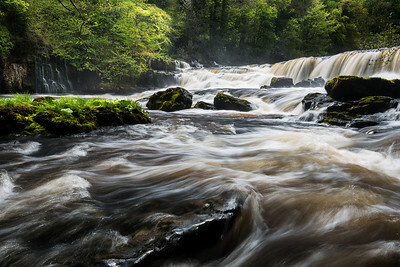 Upper Aysgarth falls in Yorkshire Dales National park. 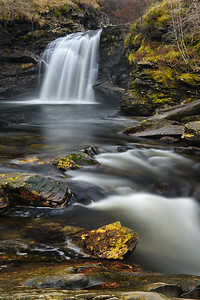 Small waterfall in Glencoe, Scotland.